“The righteous man walks in his integrity; His children are blessed after him.” Father’s Day is a perfect time to celebrate our earthly fathers and let them know just how special they are. 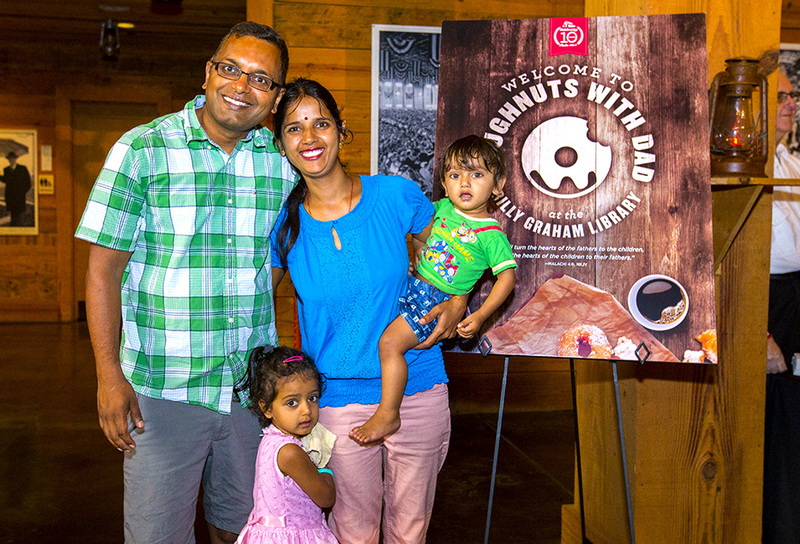 Take some time to appreciate the father in your life at our annual Doughnuts With Dad. Fathers of all ages and their families are invited to spend the morning at the Billy Graham Library. Enjoy complimentary doughnuts and beverages* beginning at 9:30 a.m. and all fathers will receive a special gift. * While you’re here, take The Journey of Faith tour and visit the Memorial Prayer Garden, the burial site of Billy and Ruth Graham.